This week's Portland launch of Michigan-based Founders Brewing highlights the fact that out of state breweries are targeting this market. Left Hand (Colorado) recently launched and Bell's (Michigan) has soft launched; Modern Times (San Diego) is on the way. I get press releases announcing this stuff. They include quotes from brewers and distributors about how great it is to be working together. Then come the blog posts, regurgitated from the press releases. Nowhere do I find perspective on why breweries want to be here. The reason I want some perspective is that Portland is the most developed and competitive craft market in the country. We're saturated with great beer, most of it made in Oregon. Why do interlopers from out of state think they can succeed here? What's their plan? Inquiring minds wonder. Of course, those aren't things anyone wants to discuss publicly. Brewers and distributors spend plenty of time crunching numbers and evaluating the viability of a brand well before they decide to launch in any market. But you aren't going to hear about it. 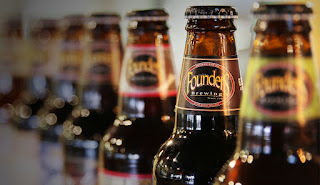 My initial thought on Founders and Bell's was that they hope to tap into folks who have migrated to Portland from the Midwest. These transplants are starved for beer from their homeland and packaged product from these breweries sells quickly. Prices don't matter. The problem is, you can't successfully tap a market long-term with migrants as your primary customer base. It's not sustainable. You've got to reach a wider audience, in Portland's case an audience accustomed to drinking mostly local or regional beer. What's crazy about what's happening is it runs counter to the local focus that fueled the craft revolution. Portland got a great start because locals were willing to try early beers from Bridgeport, Widmer, Portland Brewing and McMenamins. Local has been a relevant factor ever since. If interlopers from out of state are going to have increased success here, it may mean the local focus is diminishing somewhat. Or that, at the very least, we're becoming more open to drinking beer that isn't made here if it's good enough. That might not be such a bad thing. Keep in mind that plenty of non-Oregon craft breweries have attempted to crack the Portland market. Few have succeeded on any kind of significant scale. Lagunitas has done well. Sierra Nevada has done well. Ballast Point is doing well. There are a few others. Breweries want to prove they can compete here says author and longtime Portlander, Jeff Alworth. "We're the Big Apple of beer. If you can make it here, you can make it anywhere. Eventually, it seems like every ambitious brewery tries the Oregon market. Usually to their regret." 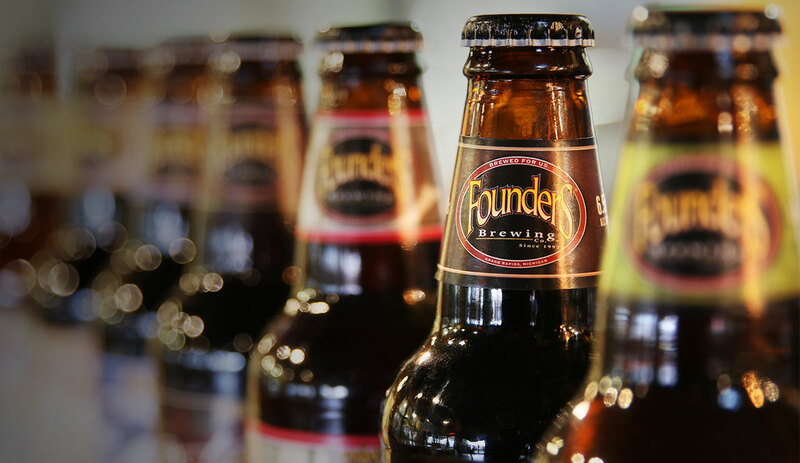 The thing about breweries like Founders and Bell's is they've been highly successful in their own markets and are in the process of expanding to other parts of the country. They make good beer and they've got GABF medals and dedicated fans to prove it. They want to succeed here. As well, they're capitalized to make the investment required to succeed. "You need to have marketing boots on the ground to build a brand presence here," says one of my industry friends. "Breweries that aren't willing to do that or can't afford to do that have a tough time here." In fact, more than a few Oregon breweries have cut corners on the marketing end. They expect to win fans because they're here. Some have even doubled down by pushing sketchy, inconsistent beer into the market. A few have gotten away with that approach. Things may be changing. Well-funded interlopers with the appropriate pedigree are positioned for success here. Migration demographics could be part of that, but mainly Portland and Oregon may be coming around to the idea that good beer is good beer regardless of where it's from. The result of that evolution is that sloppy, underfunded Oregon brands are going to be pushed out of the market by aggressive newcomers from outside. In fact, that displacement is already happening. Maybe that's good news for consumers.